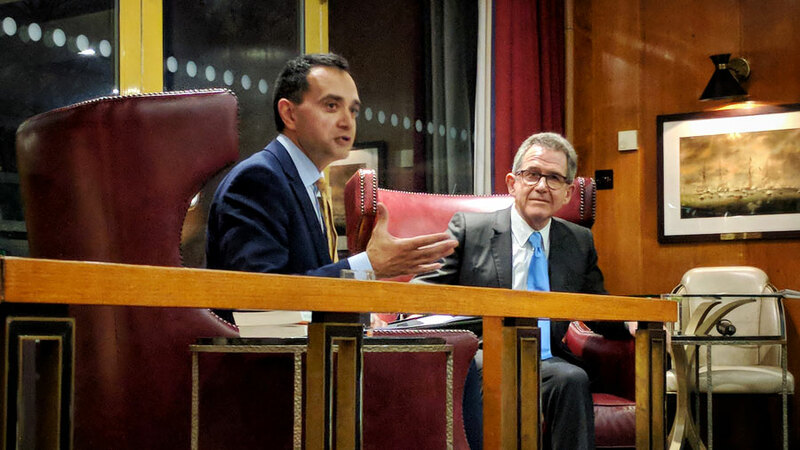 As our last Event of 2017, we were delighted to welcome Lord Browne of Madingley to Devonshire House – for what we saw as a fitting finale to a varied and successful year of listening to and debating key issues with national leaders in their fields. 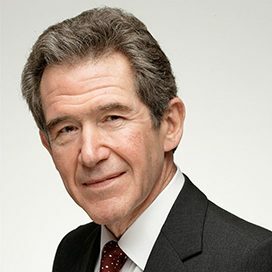 Lord Browne will be best known as Group Chief Executive of BP from 1995 until 2007. Now, he has a portfolio of leadership roles. He is the Executive Chairman of L1 Energy, Chairman of the Supervisory Board of DEA, Chairman of the Trustees of both the Tate and the QEII Prize for Engineering and Chairman of the International Advisory Board of the Blavatnik School of Government at Oxford University. Having discussed with Lord Browne and his team how best to structure his talk – and making the point that what we often appreciate most is the Q&A part – involving less preparation time from our Speakers, Lord Browne chose to format this event as more of an on-stage conversation based on some pre-agreed questions put to him by a facilitator and interspersed with Q&A from the audience. Ian Joseph, Managing Director at Russam GMS was that Facilitator. Lord Browne’s advisors contend that this works better for events of this nature and allows for greater audience interaction, which they know Lord Browne is keen on. And this is what happened. As CEO for 12 years of one of the world’s largest companies, what were your top two highs and bottom two lows? Given your extensive experience as a leader, what advice would you give your younger self or indeed anyone taking on a CEO role for the first time? You’ve spoken a lot on how companies succeed by engaging with society. Indeed, for your book on the subject, Connect, you interviewed over 80 leaders from around the world. What insights stood out? 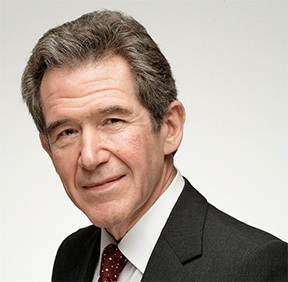 If the world was run by Lord Browne, what role would you see business playing in society and why is this so important? You’ve commented previously on the lack of diversity of the Fortune 500. Indeed, Tim Cook of Apple is the only openly gay CEO. Why do you think this is and what can be done to embrace diversity in the boardroom more broadly – not just in terms of sexuality but also in terms of race, age and socio-economic background? What Lord Brown said about all this – and more – can be found in his four highly regarded books, being – Seven Elements that have changed the World – The Glass Closet – Beyond Business – Connect. More info about these brilliant books can be found at – https://www.amazon.co.uk/John-Browne/e/B0034PDJPG. All are obligatory reading for those who run businesses – or advise others how to – and all of them are for sale on Amazon. Why not log on and buy them ALL – and NOW! With about eighty attendees, this was Devonshire House at its best. 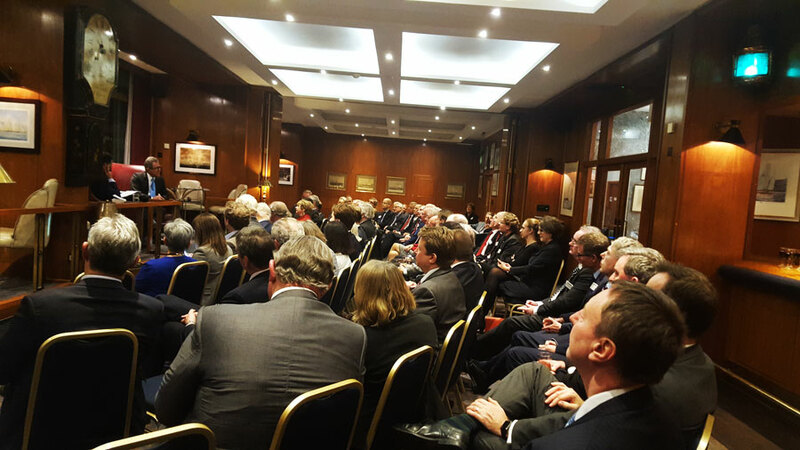 Lord Browne held the room spellbound. (see photos) It was a fascinating discussion and many of the issues continued to be discussed and debated long after he had left the podium! Our grateful thanks go to Lord Browne and his team, to our Sponsors – especially to Ian Joseph of Russam GMS for so skilfully guiding the interview and to Robert Thomas of Charles Russell Speechlys for his closing remarks, as well as to Royal Thames Yacht Club for their impressive facilities and delicious buffet supper.